Prologue: The Heavy Metal legends Accept are back for good, after their very successful album "Blood of the Nations" and a world tour that followed, they're in the studio again recording its successor. We already got a small but good taste with their new song "Stalingrad" and we can only hope for the best! WOLF: Thank you! We are trying our best - as always. Elias: A tour, a new killer record, another tour and another record coming. 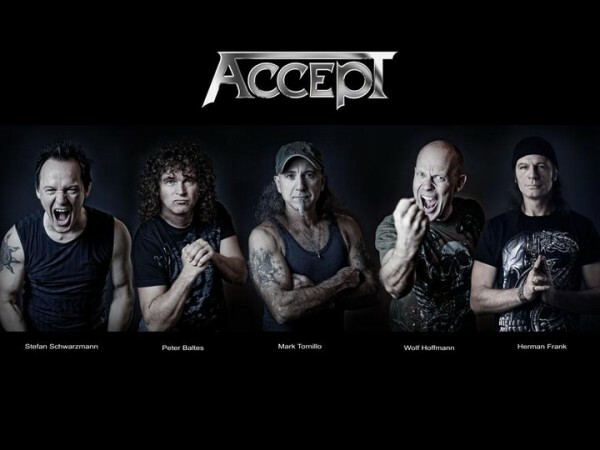 ACCEPT are back for good! What's the next step? WOLF: That is for us the next step - the second round in less than 30 months. We are on a roll and nothing seem to stop us. Any musicians dream came true - we are on a worldwide attack. Elias: You sound very tight as a band right now, reminding a lot of the early ACCEPT days, but with a touch of "aggressiveness" if I might say so. Where does that come from? WOLF: Perhaps because we ignored what is in us for decades.We are like a boiling bottle beer ... it was time to burst for us! Elias: Your previous album "Blood of the Nations" received very good critics and I believe it went very well. Did you expect such a warm welcome after all these years of absence? WOLF: I guess one of the secrets of our return was, that we EXPECTED absolutely NOTHING and got absolutely EVERYTHING. We are still speechless. Elias: You toured several countries last year, including Greece which was a sold-out show if I remember correctly. What are your memories from that tour? WOLF: If you take into consideration what I just told you, you can imagine - no one wanted to wake up. We felt like on a roller coaster, trying to get a hold of the world we found ourselves in. Surreal, exciting and the result was, that we could not sit back. We came off tour in 2011 and in 4 month from songwriting to finished master tape and INSANE train ride which continues to this minute. Elias: How much has the metal scene and the fans changed in all these years? Do have any "special places" that you prefer to tour in Europe or the U.S.? WOLF: With Fans - Nothing has changed, except we have the internet today. You should not forget, when we stopped working in 1996 - the world was a different one. As in STALINGRAD we are trying to put a spotlight on the fact, that we human beings are all brothers..and sisters for that matter. We see our fans around the world and all we see is their faces! Everywhere they offer us their hearts and souls and that makes us the proudest MF on the planet. Our answer to that is: we thank you with the best show we can give you and the best songs we have at that moment. Elias: This is the era of information and Internet. How much has this helped the band? Elias: "Blood of the Nations" and now "Stalingrad". Two albums with very strong political messages. Does the current global economic crisis and general turmoil affect your songwriting and if yes, how so? WOLF: We are known for talking about things most people don't - but we tried to offer a different perspective. You know, we have Mark now and Gaby (Deaffy) decided to let him write his own lyrics. As an American he naturally is seeing the things from a total different perspective. That is a very sensible and for all of us difficult situation. We all are doing the best we can and yes, we will see how we did, this time. Elias: A lot of classic heavy metal bands try to use more modern elements to their music but not ACCEPT. You're staying to the old recipe and the results are beyond great as usual. Do you listen to more "modern metal" bands or not? WOLF: I am very old school and as you know my real passion is classical music. 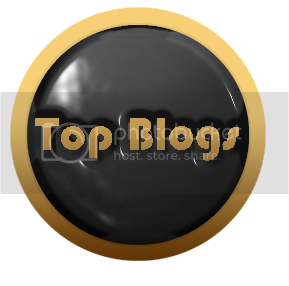 We want to do, what we do best, where we see that our fans are following us and carry our success to the top. of course, as a musician, you can easily feel the urge to try something new ...we did that and we do not regret that. However, we feel very safe, where we are now. 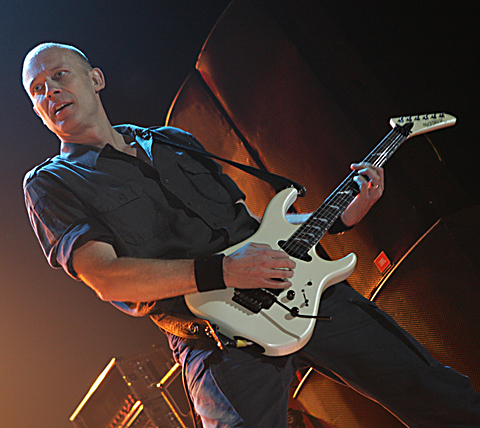 Elias: What I always loved about ACCEPT was the use of classical music, which always fitted so well between certain songs, blended with the guitar solo and always providing an excellent outcome. Do you believe classical music and heavy metal are connected somehow? WOLF: The saying goes, that I was one of the first who established that. I don't know, but it seems there is something about it. It is in me, always was and always will. Elias: Every band has its own influences when writing songs. What are the biggest influences of ACCEPT right now? Elias: I'm more than certain that we'll expect another great album from ACCEPT. 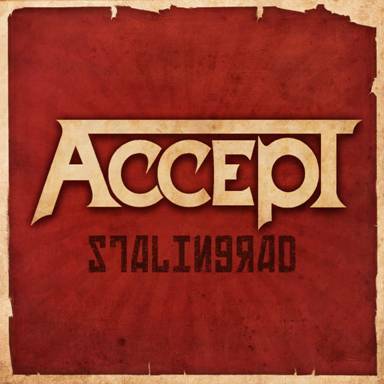 Is there anything else about "Stalingrad" that you wish to share with us? WOLF: We are waiting for the verdict of our fans. 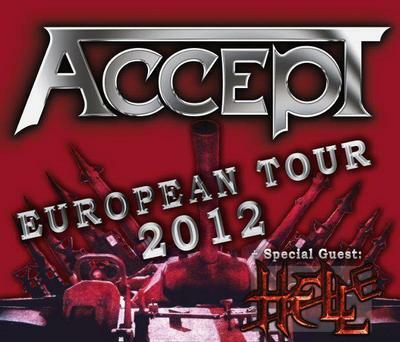 THEY decide about ACCEPT's today and tomorrow and nothing else! Elias: Have you got any tour dates scheduled for 2012? Do you plan to visit Greece? WOLF: Yes - we know we will be in Greece this autumn. Elias: Any last messages for the Greek fans? WOLF: When we come you got to be there, because this time we will record there for sure! We need you! We were told the promoter promised to book the right venue, so we will not have to turn people away. GREECE....get ready!